Our spam protection module is available as a native anti-spam plugin for MailEnable to enable users to have the same powers and protection used by ISP's and Telco's all around the world. Target spam and remove it before it gets in your inbox! 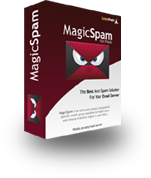 MagicSpam Basic is for the MailEnable User who manages all the spam protection server-wide for their customers. 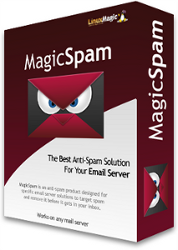 MagicSpam Plus is for the MailEnable Hosting Provider who wishes for finer control over the anti-spam process and places great importance on their server's reputation. MagicSpam targets spam and removes it before it gets in your inbox by integrating directly into the SMTP layer. No need to change settings, DNS, or other complicated setups. Full statistics, logging, custom whitelist/blacklists, rate limiters, and other features are available. With the PLUS version you can additionally quarantine emails that have been detected as spam and prevent compromised accounts from tarnishing your server's reputation.